Acupuncture Atlanta is an acupuncture clinic in Atlanta, GA that has operated for almost 20 years. Our online store, Acuatlanta.net, selling Chinese herbs and supplements is an extension of our mission in the clinic that launched in 2005. We aim to serve your health needs by providing expert knowledge, advice and access to only the highest quality Chinese herbs, nutritional supplements, and homeopathy. We pledge to provide excellent customer service and choose to offer only the highest quality health products to you and your family. The products we offer are not only chosen by our staff but used in the clinic. Our founder, Warren Cargal L. Ac., manages and oversees the company's day to day Clinic and online store activities. "I believe that all of us deserve a healthy, vital life and that we have the potential to create that for ourselves." Warren began his career in healing as a therapist for several years before studying acupuncture in 1993. 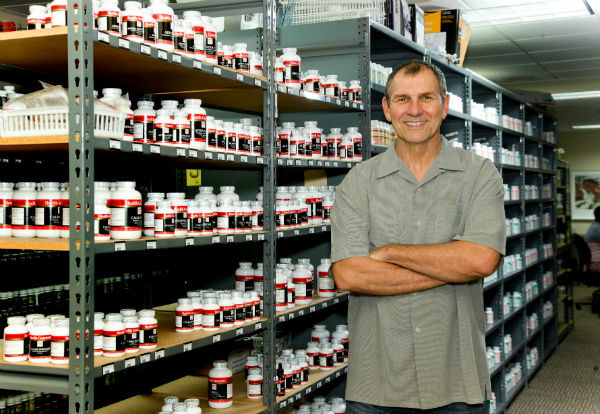 With over 20 years of practice in Traditional Chinese Medicine, Warren has spent hundreds of post-graduate hours in Chinese herbology, nutrition and endocrine education. He integrates both the traditional practice of TCM with modern functional nutrition to best serve his patients. The Acupuncture Atlanta online store was created in September 2005, initially offering 15 lines for sale to Warren’s private practice. Warren was often seen packing up orders on his desk in between patients. As the clinic and store expanded, the office was relocated to accommodate additional clinic practitioners and inventory. The clinic has grown to include 4 acupuncturists, 2 chiropractors, as well as an affordable community acupuncture-based service. Warren is still actively involved in the Clinic and his current research interests include the role of mitochondria in aging and disease, how the mind can affect healing, and the influence of the gut microbiome on both the mind and body. He has written several books including "Your Mitochondria: Key to Health and Longevity" and “The Reality We Create”. Purchase his recent releases here or on Amazon. Today the store includes over 100 manufacturers, including doctor-trusted brands, as well as the addition of homeopathics, functional foods, beauty care and pet products. We now provide supplement and herbs to both patients and practitioners across the U.S. and internationally. We employ a diverse team who share the same desire as Warren to assist others on their path to health. 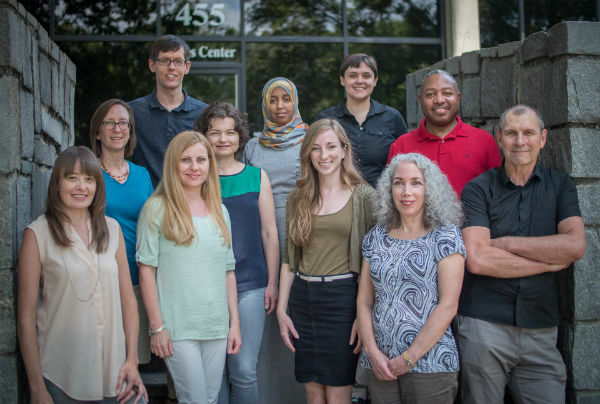 We maintain a positive and supportive atmosphere in our Atlanta, GA office. We are like family and can work together in a fun and meaningful way. Our knowledgeable staff continually researches to stay current on the latest product developments and health information in order to better serve you. Our staff naturopath and acupuncturists are available weekdays for phone consultations and product related questions. Call, email, or chat in on the website for assistance. Our approach integrates Western medicine diagnostic techniques with Traditional Chinese Medicine for the treatment of infertility, chronic disease, children's learning disorders and more. Our belief is that this fusion of the two medical models makes it more relevant to our Western culture while preserving the rich legacy of Traditional Chinese Medicine. Our practitioners have several decades of training and practice between them. The acupuncture and TCM staff includes Warren Cargal, L. Ac., Mariah Van Horn, L. Ac., Dipl. Ac., Manjusha Ladha, L. Ac., and Dr. Sharron Leigh Lipscomb, DACM, L. Ac.. Our chiropractic practitioners include Maureen Vellia, DC and Dr. Edward Frey. If you are local to Atlanta, Georgia, we invite you to learn more about our clinic by clicking here.